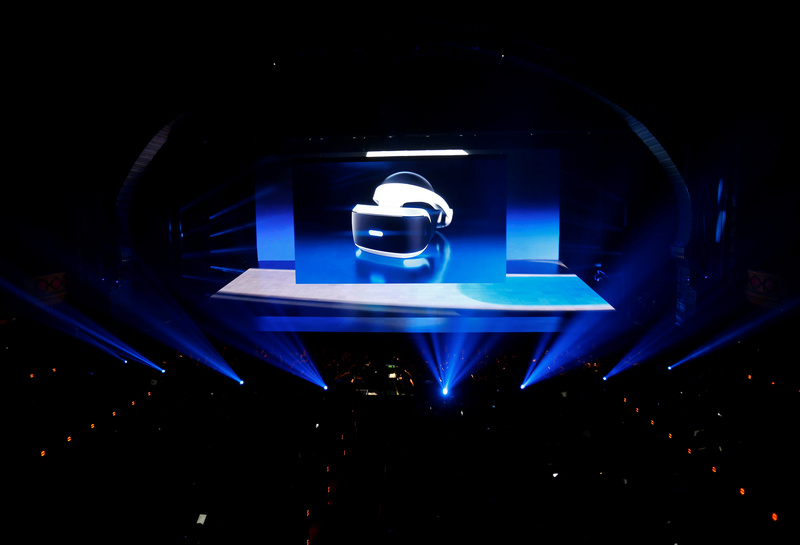 It was all about virtual reality for Sony Monday night as the home entertainment company unveiled its PlayStation VR headset at the Electronic Entertainment Expo (E3) in Los Angeles. At the event, Shawn Layden, chairman of Sony Interactive Entertainment Worldwide Studios, announced that Sony's VR headset will be released Oct. 13 and will be priced at $399. The launch is significant in that more than 50 virtual reality video games will be available for the device. Some of the bold-faced titles that attracted the most attention were "Star Wars: Battlefront VR" and "Batman: Arkham Knight." This move positions Sony as a major and appealing player in the competitive VR space, especially given that its price tag is significantly lower than those of its competitors. For instance, the HTC Vive has a price set at $799, while the Oculus Rift will retail at $599. Complete coverage of Sony's E3 highlights on CNET.